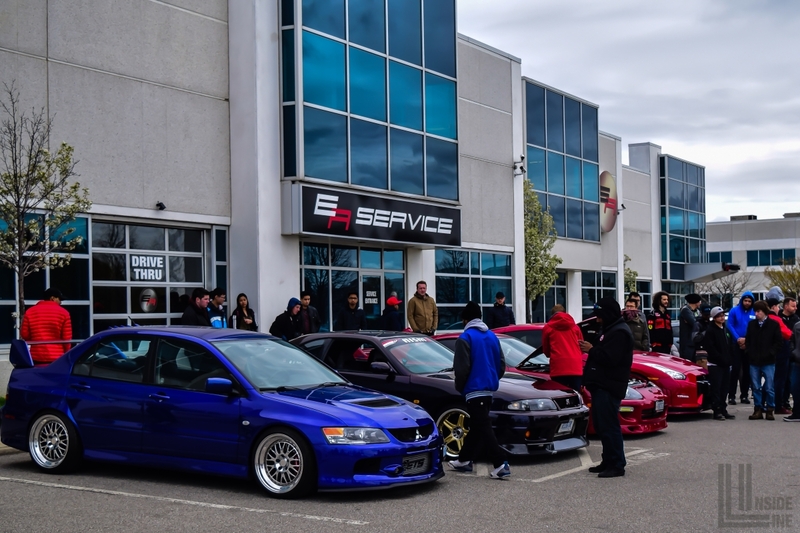 Despite the rainy and cold weather, there was an amazing turnout at the Engineered Automotive Cars n’ Coffee 2017 Season Opener on May 7th. 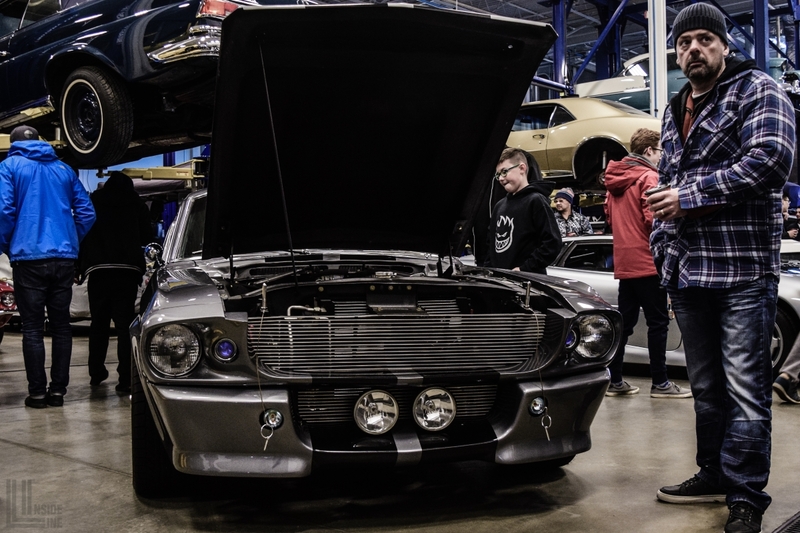 A wide variety of supercars, classics, muscle cars and JDM tuners braved the weather to show off their rides. 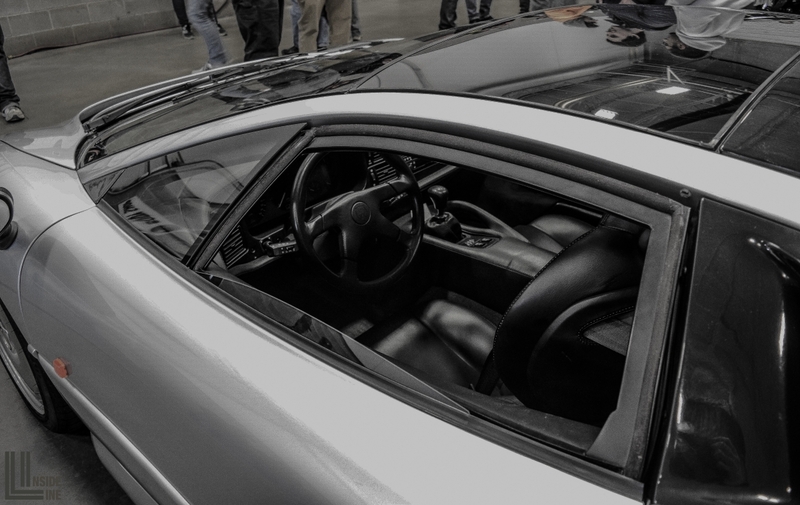 Without a doubt, the car that caught EVERYBODY’S attention was the Jaguar XJ220 supercar. Sitting center stage inside the Engineered Automotive shop, there was always crowd surrounding it. Most of us have only seen the Jaguar supercar in video games like Forza 6, Gran Turismo and Need for Speed. I still can’t believe I was standing next to one in person! During my conversation with one of the guys from Engineered Automotive, I learned that Jaguar originally planned on putting a V12 into the XJ220. As the project evolved the engineers decided to switch to a twin turbo V6 before they went into production. Unfortunately the customers were not informed and were understandably pissed off when they saw that the production car had only half the cylinders! Funny how technology has come around. Today, we’re seeing more turbocharged 6 and 8 cylinder engines in high performance sports cars and supercars. The Burt Reynolds classic Smokey and the Bandit was released before I was born, but even I recognized the Pontiac Firebird Trans-Am from the movie! 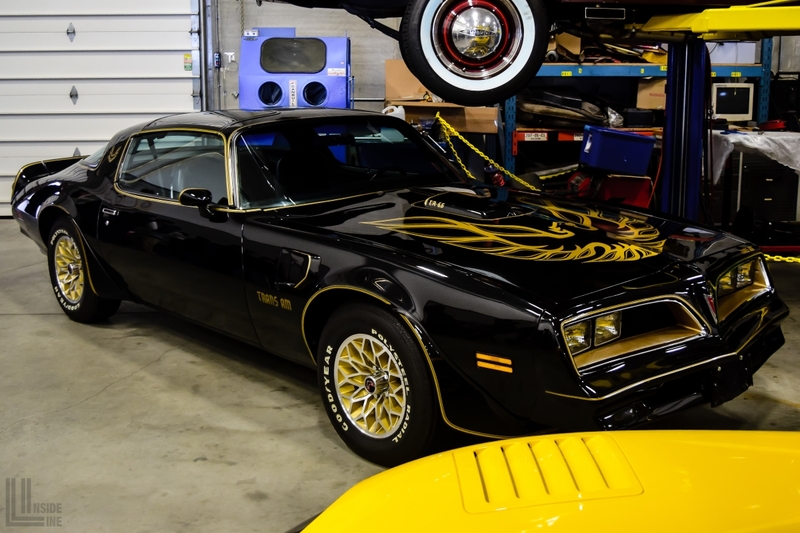 The black and gold colour scheme of the Trans Am from the movie looks amazing. Is it just me, or do these wheels remind you of the BMW M4 GTS? Not to be outdone, Eleanor from Gone in 60 Seconds also made an appearance. You may remember this Shelby GT500 from the Toronto Auto Show this year at the Engineered Automotive booth. One thing you have to do at these events is to pay attention to the cars that are on the hoist or hidden in the back of the shop. 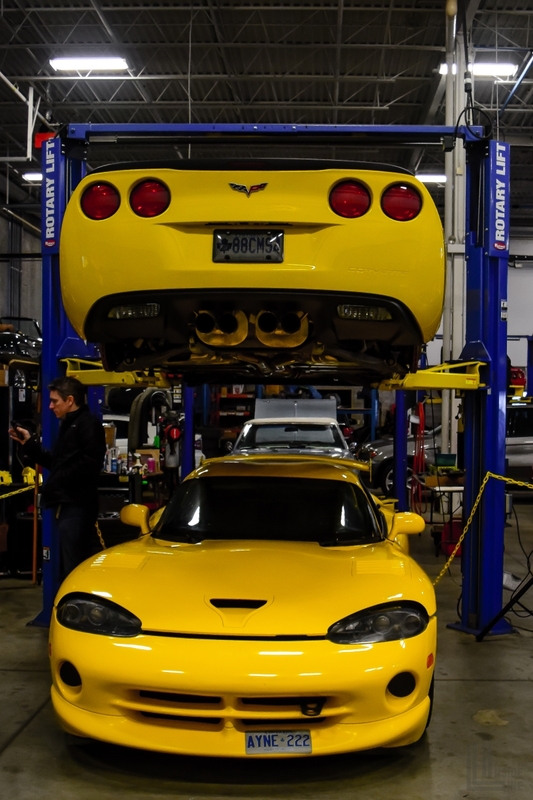 Underneath this C6 Corvette sits the Dodge Viper ACR which always reminds me of the old GTS-R racecars. The cars in the shop looked like a movie car collection, but it feels like Importfest as soon as you step outside. 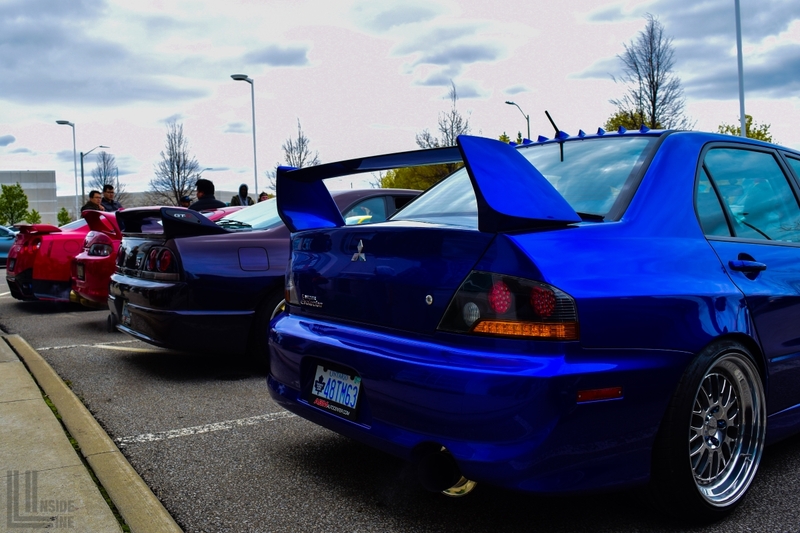 Case in point, check out this fleet of JDM legends! When the owner popped the hood of the Supra, a swarm of people immediately gathered around it. Naturally I had to go take a look too. Just look at the size of that turbo! Supposedly the car is making 1450whp! You would definitely need a clear runway to stretch the legs of this 2JZ powered monster. Some of the best sportscars to come out of Japan are in this lineup: Mitsubishi Lancer Evolution 8, R33 Skyline GTR, MKIV Toyota Supra and R35 Nissan GTR. 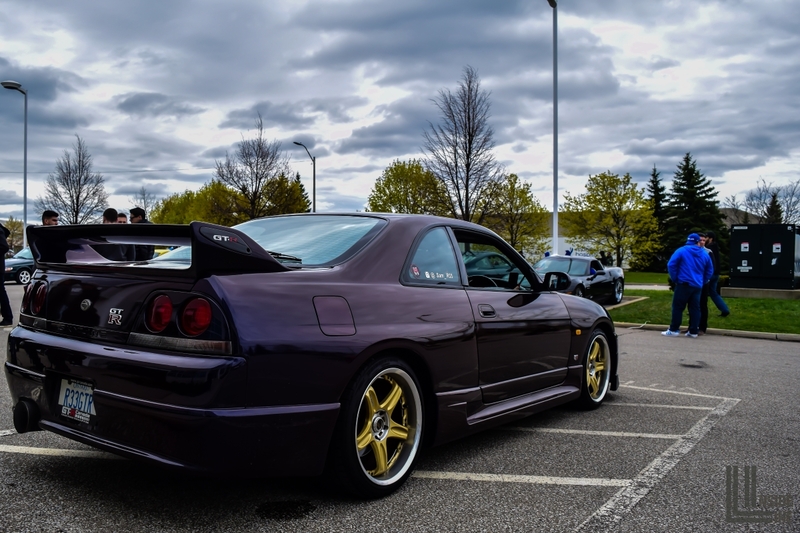 Midnight purple is one of the best colours for the Skyline GTR. The period appropriate Volk GT-C wheels just look right on the R33. I felt like I was flipping through an issue of Super Street from the late 90s or early 2000s! 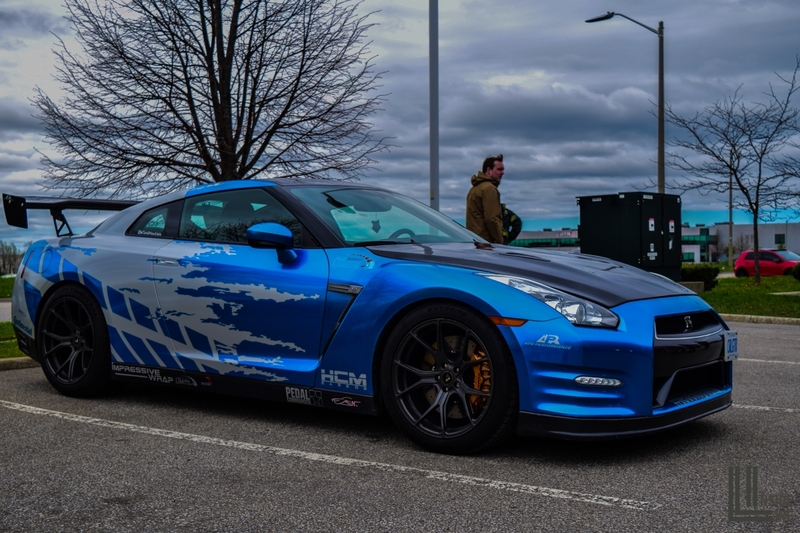 Local Instagram celebrity spotted: The Cars Without Limits Nissan GTR! The car immediately catches your attention with a vinyl wrap inspired by Paul Walker’s R34 from the second Fast and Furious movie. Vader 86 also made an appearance. The Rocket Bunny widebody FRS looks downright menacing in black. Not to be outdone, the Subaru crew had their own little section reserved on the other side. Surprisingly there weren’t too many previous generation GR, GV, GD or GC Imprezas in attendance. 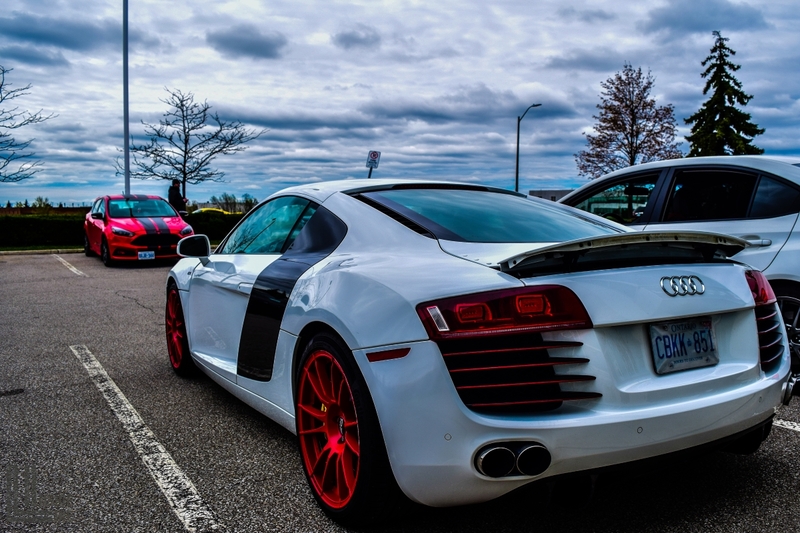 Love the contrast between the white Audi R8, red OZ Ultraleggera and yellow brake calipers! 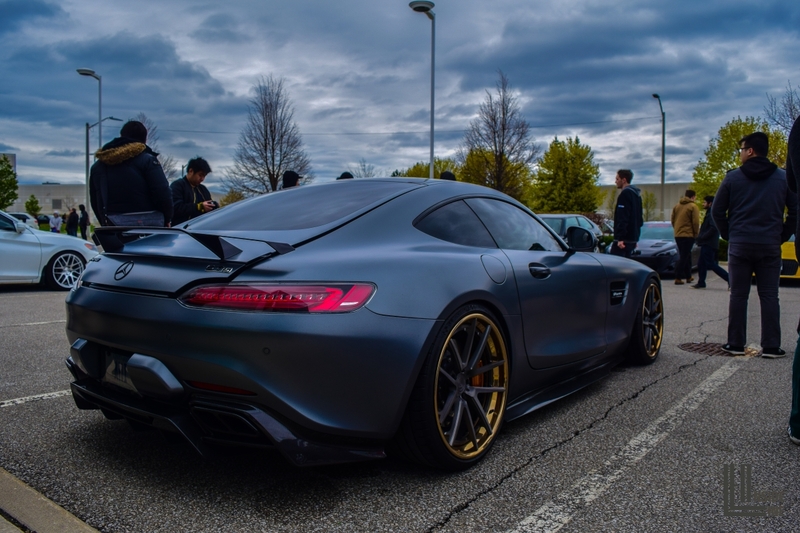 This Mercedes-AMG GT S rolled in late, but it made everyone turn their heads as it drove through the lot. The matte grey finish and contrasting Velos Solo V Forged Wheels looks unreal! The GT S already looks pretty damn good from the factory, but this is by far the best looking example I’ve seen to date. 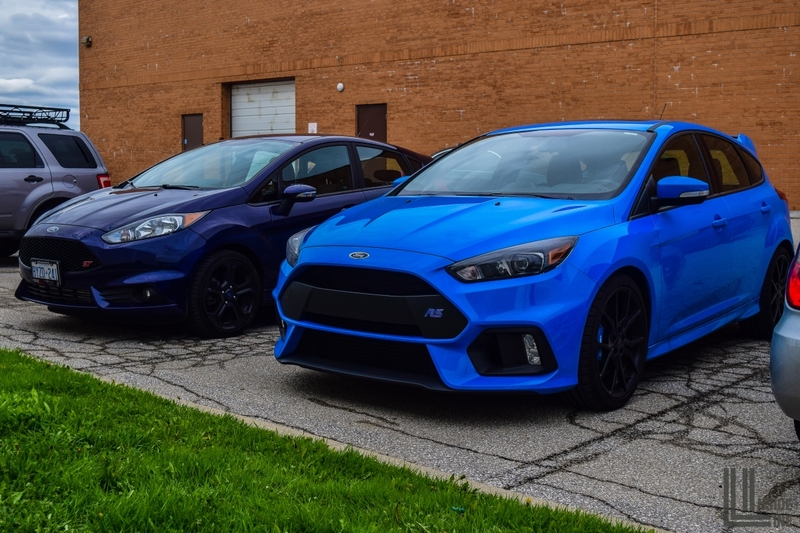 Couldn’t resist taking a picture of the Fiesta ST lined up next to its bigger Focus RS brother on my way out. In my opinion these are two of the best hot hatches on the market, both from the same company! If you didn’t make it to the event, don’t miss out again! 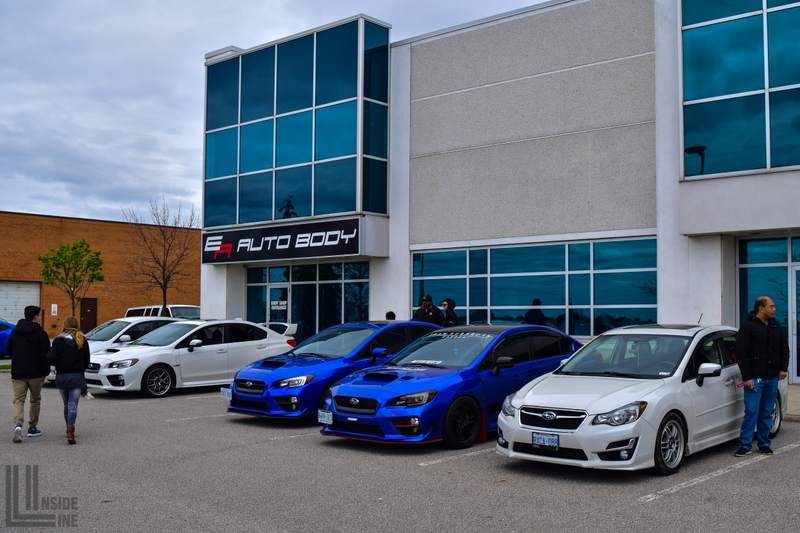 The next Engineered Automotive Cars n’ Coffee will take place on June 4th from 08:00AM-11:00AM at their shop. In the meantime, check out the season finale of Cars n’ Coffee 2016.